Las Vegas is the largest city in Nevada. As of 2005, its population was estimated as 545,147. Las Vegas is internationally known as a vacation destination, thanks to the lavish resorts, and extensive shopping and entertainment facilities. Because of this, Las Vegas is sometimes known as "The Entertainment Capital of the World", however its most famous area, the "Las Vegas Strip", is actually largely in the unincorporated town of Paradise. Perhaps the best-known professional sports team in Las Vegas is the baseball team, the Las Vegas 51s. The main airport for Las Vegas is McCarran International Airport. 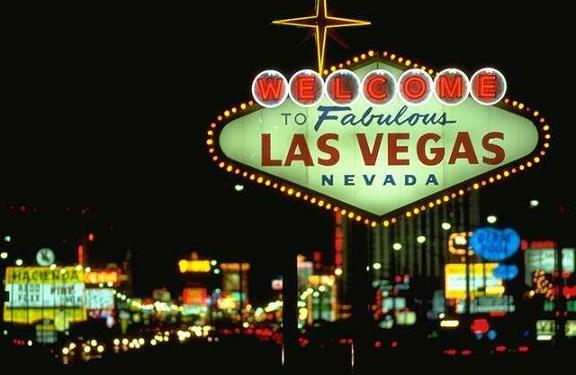 Las Vegas is a Spanish phrase, and means "The Meadows" or "The Grasslands". Las Vegas was founded in 1905, and incorporated as a city in 1911. It is the largest US city founded in the 20th century. The Robert N. Broadbent Las Vegas Monorail runs from South to the North end of the Las Vegas Strip, a distance of about 3.9 miles (6.3 kilometers). The monorail starts at the MGM Grand Hotel, has stations at the Convention Center and Las Vegas Hilton, and ends at the Sahara hotel at the North end of the strip. Additionally, there are plans to extend the monorail to downtown Las Vegas (Phase 2), and to McCarran International Airport (Phase 3). 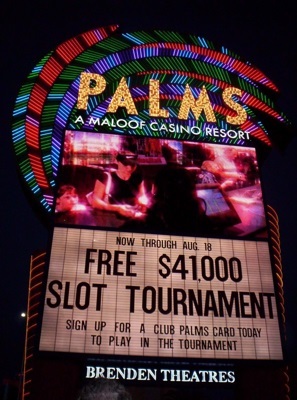 Nicknames of Las Vegas include "Gambling Capital of the World", "Entertainment Capital of the World", and "Sin City".